With all the benefits of our Deluxe Magnetic Signs, but for less. 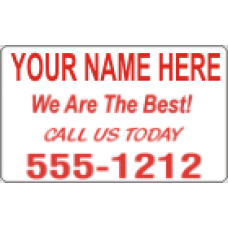 Value Magnetic Signs are limited to one color and up to four lines of text. These are great for the businessman who wants to get their name and information out there fast and inexpensively. Our high quality magnetic car signs will provide years of service; out-performing any other advertising product, dollar for dollar. 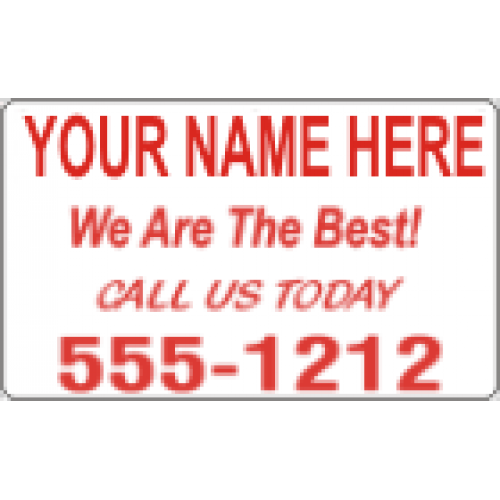 If you haven't tried advertising your business with value car magnets, you don't know what you're missing. Magnetic car signs can be ordered in 3 popular sizes.